It’s that time of year again when budding scientists, engineers and mathematicians get the chance to display their school projects at the Big Bang Fair. Steve and Lynsey joined more than 90 other judges to assess over 150 student projects for thirty highly coveted prizes. The experiments and analysis undertaken by the pupils was incredibly varied. During the judging process Lynsey found out about the habituation of snails (with African snails measuring around 5 inches there to demonstrate! ), biofuels, and how far a water rocket will travel. Steve found out how to shoot a sponge ball out of a pipe at 170mph using hairspray, how ocean acidity is affecting sea life as well as the impact of different surfaces on tennis matches. 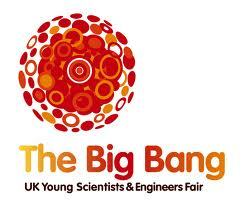 The Big Bang Fair is a great event that helps inspire young people about the science, technology, engineering and maths all around them. This year’s event was the biggest yet with more projects, judges and exhibitions highlighting the huge amount of talent here in the South West. The enthusiasm of the students was fantastic and highlighted by the record breaking number who took part in the ‘Mega Class’ on science, physics and chemistry and led by National Space Academy Director Anu Ojha. We’re looking forward to next year already!